Silk protein and chitin protect from heat, give a light hold and shine. Aloe vera adds deep moisture and melissa extract calms the scalp. Made with with organic tangerine, orange and lemon for an uplifting mood. Austria Bio Garantie certified organic. Vegan and cruelty free. Pro tip: Apply a small amount evenly to damp hair, take sections and twist them to air dry or use a diffuser on low heat for bouncy curls. 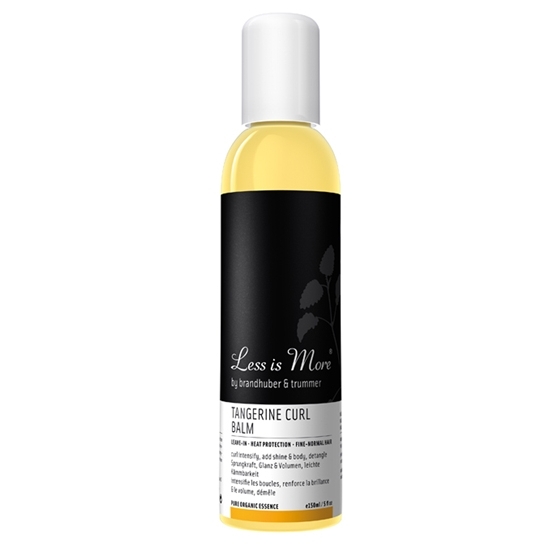 "Lightweight leave-in conditioner, de-tangler and heat protector. Ideal for normal to curly hair to add bounce, shine and volume."